Your typical pay-per-click marketer is a Jack- (or Jill-) of-all-trades, experts in efficiently managing budgets and serving hyper-relevant ads, but also adept at client management, data analytics and, of course, reporting. Without the ability to produce concise, meaningful PPC reports, all of our work is for naught. Going from PPC campaign creation to bid, to clicks (and sales!) can be exhilarating. In a perfect world, crafting PPC reports for your clients isn’t just another item on your to-do list — it’s a gratifying capstone to all of the good work you’ve done. But what makes a good report? There’s no one-size-fits-all answer to this question, but there are guiding principles that can help make sure you’re producing effective reports, no matter what industry your client is in and no matter what their goals are. The meat and potatoes of a good report is always going to be the core KPIs (Key Performance Indicators) that you’ve outlined with your client. This is why it’s important to discuss what KPIs the client wants to focus on before you’ve spent any money. No matter what industry, no matter what client, our focus should always be ROAS (Return On Ad Spend), but individual client goals will vary, so your reports will as well. Jeanne Lobman at Search Influence in New Orleans mentioned this in a recent chat about PPC reporting. In a nutshell: It’s not about finding the biggest numbers to tout and trumpet, it’s about always keeping an eye toward the client’s goals. Sometimes this will mean focusing on certain conversion types over others (calls vs. purchases vs. sign-ups), and other times it could mean devoting more time to impression share and click-through-rate (CTR). Joe Khoei, CEO at Bay Area-based SalesX also knocked down vanity metrics: Don’t hunt for inflated numbers, because they’re probably not telling a true story. Instead, the best reporting not only shows the client how well your campaigns are performing but allows you to double down on your high-performing efforts. Just because you don’t think a particular metric should be the focus doesn’t mean you should exclude it from your reporting — it just means it’s up to you to convey the importance of the metric in comparison to where the client’s focus should be. So if the client is overly concerned with cost per click (CPC), be sure to report on and monitor CPC trends over time, but also take time to shift the client’s focus towards meaningful KPIs that provide real value. Every report should focus on the core KPIs you’ve outlined with your client, as well as the goals you’re shooting for. That could include customer acquisition, sales or leads at a certain cost, or higher funnel metrics (like CTR, impression share, CPCs etc). When those core KPIs take a dip, however, it’s important to look at correlative KPIs to understand why the metrics you’re trying to focus on have taken a dip and what you’re doing to move the needle in the opposite direction. Just because some of the core KPIs have taken a dip, doesn’t mean your campaigns are a complete failure and the client is going to drop you, it just means your reporting needs to accurately reflect the market, and why certain account shifts have taken place. This tendency to focus on non-essential metrics goes both ways, of course. When KlientBoost CEO Johnathan Dane discussed PPC reporting with CallRail, he didn’t mince words: paid media folks — especially newer ones — may feel tempted to surface vanity metrics, like CTR and CPC. And when it comes to finding the right clients, Johnathan recommends doing some good vetting. Maybe start with Adam’s advice above — identify the right industries to prioritize. Then, go deeper. So you’ve outlined your goals with your client, and you know what conversions and which metrics you’re going to focus on. Now, how should you present that to the client? Ideally, you’ll whip up a beautiful report with all the fancy fixings, but in reality, something simple, and easy to interpret will get the job done just as well. I’ve included a sample Ads report from GDS below. I’d recommend removing some of the info like device breakdown, based on what your client is interested in and replacing it with a text field or two with analysis and future actions that’ll be taken over the next month. Every report should be concise and clear, and with plans for moving forward — both on how to tackle future issues, and how to improve current performance. Hopefully, with goals aligned, KPIs outlined and visuals in place, your next report will be less of a hassle and more of an opportunity to outline your work and impress your clients. Don’t just send an occasional report. Go above and beyond with good communication skills with your clients, like our friends at ParaCore in Tempe, Arizona. Frequent check-ins combined with professional and clear communication will go a long way towards making your PPC efforts successful. We recently spoke with ParaCore about how they’ve achieved such stellar client retention: Read the full interview here. One thing ParaCore does to go above and beyond: they use CallRail to provide a few bullet point highlights or tips in the email they send with the PPC report, helping their clients to holistically thrive, even sometimes with scheduling advice: “Dear Ms. Client, we noticed that your missed call rate between 12-2 p.m. on weekdays is really going up and we thought you should be aware.” Don’t be afraid to get anecdotal! 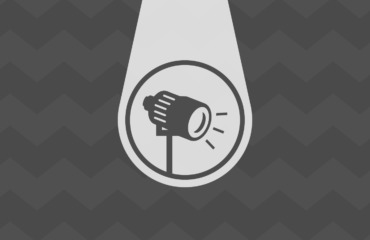 Are you a PPC pro with questions or tips about how to improve your work? Head to the CallRail Community to discuss strategy, share best practices, and connect with other marketing professionals. 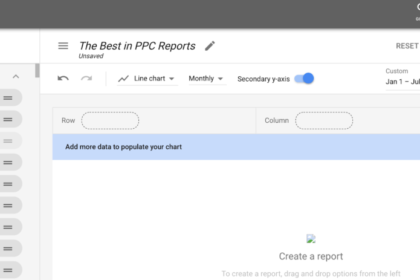 The post PPC reporting: The key metrics you need in every report appeared first on CallRail.